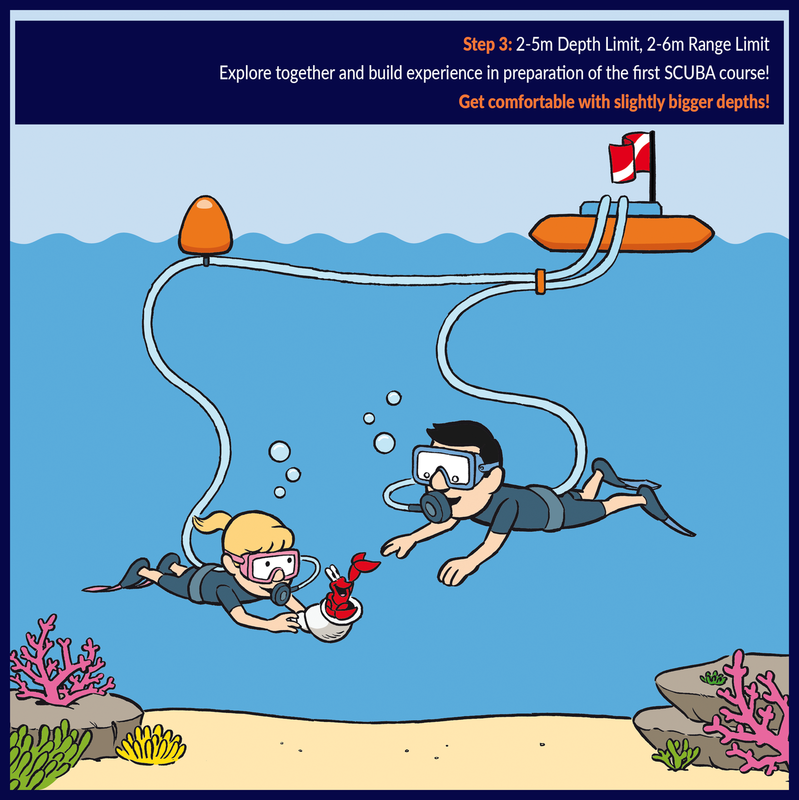 The world's first family diving system with variable depth limits! STEPDive - Experience open water from the 1st day! A complete system for 2-3 divers, portable & easy to use. For friends, partners, or kids! 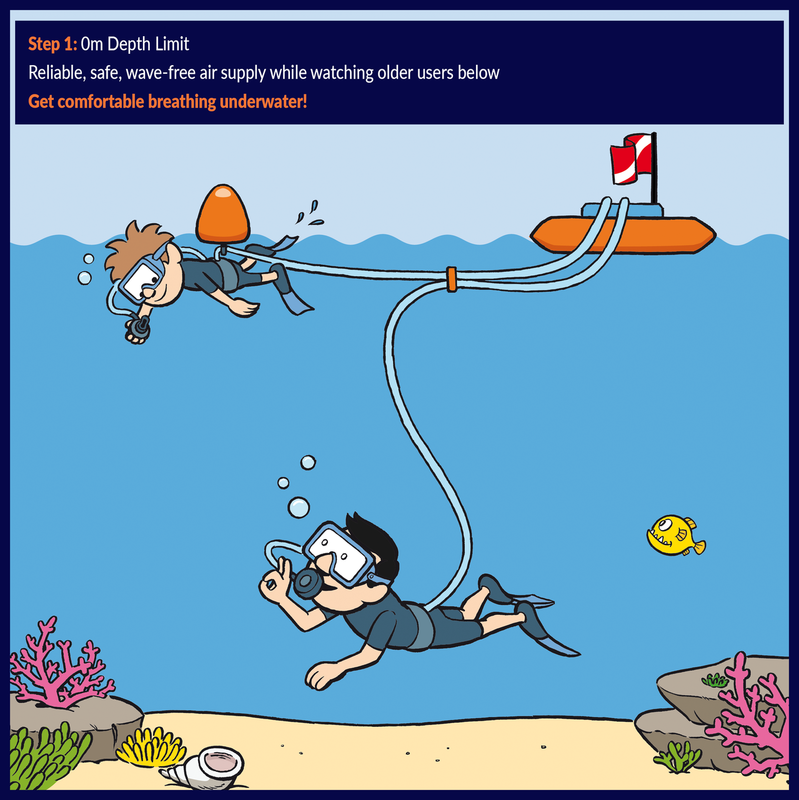 STEPDive features adjustable depth limits for children, and the limit can be set as shallow as just 50cm or 1m - a completely new approach to focus and learn basic SCUBA safety habits and techniques. With age and experience, further techniques can be taught and practiced, and the depth limit can be gradually increased step-by-step to a maximum of 5m. 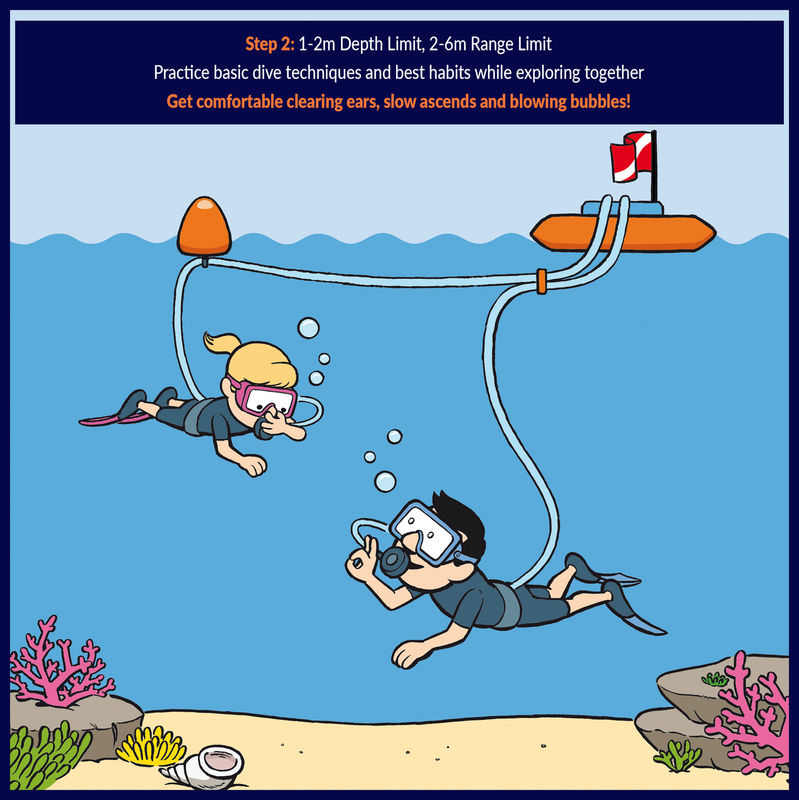 Using STEPDive over several years, young divers can impress a fundamental proficiency in the core SCUBA swim & buoyancy techniques and safety habits. Ingrained habits that will make them more natural divers later on, and better and safer students in their follow up JOWD or OWD courses. Developed and designed in Austria. 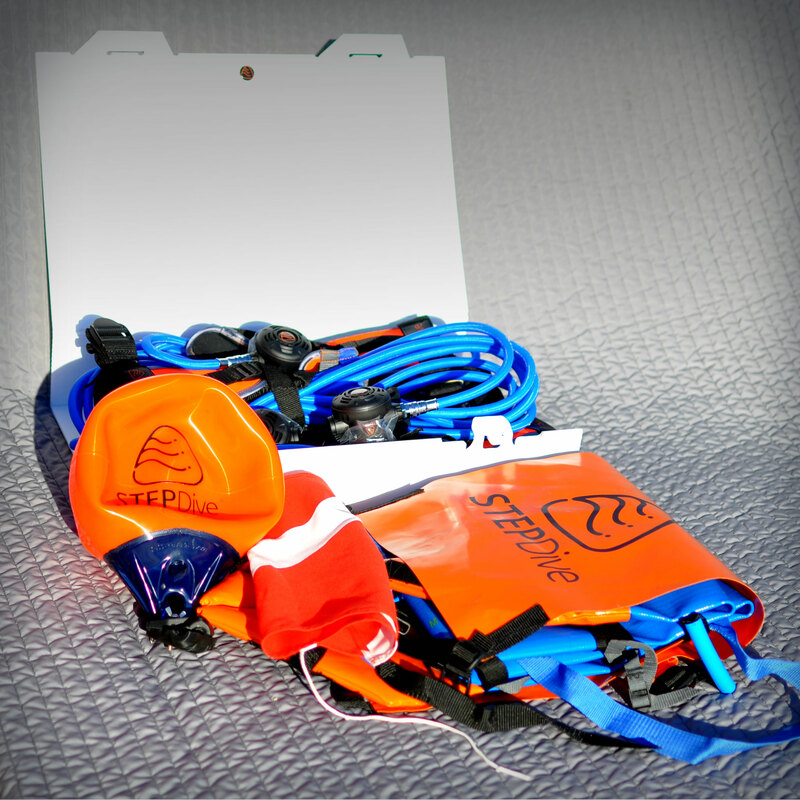 Deflates to compact carry size to take along to your favorite dive destination! 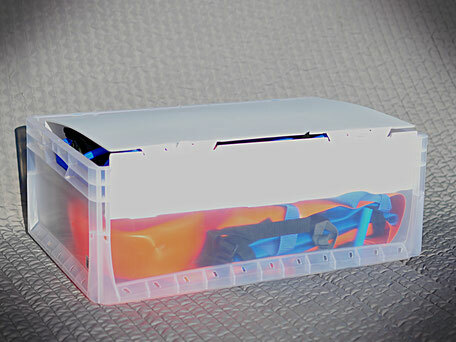 The most compact, travel friendly system on the market today! Subscribe to our Newsletter & get an extra 5% discount!! We have started our sales! Buyer must be a certified Scuba diver. Scuba tank & weights not included. Reserve yours now!! Contact us today for special pricing & orders! There's a lot to learn for SCUBA diving: getting comfortable underwater, learning safety, technique, equipment, and physics. Often it seems too much, and in addition, there is often just a limited amount of time to practice in a pool. As a result, the first open water dives can be quite risky and uncomfortable, with divers experiencing difficulties with buoyancy, air management, time, or depth control. STEPDive presents a better, more comfortable, and safer experience to learn the same techniques. 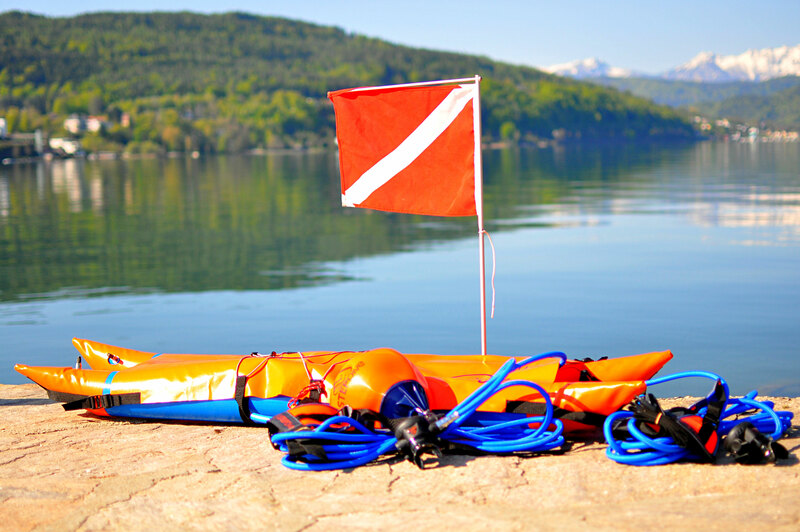 By separating the complex equipment from the diver, and providing a variable shallow depth limiter to the beginner diver, dive schools can focus first on the critical elements: comfort underwater, safety, and experience. 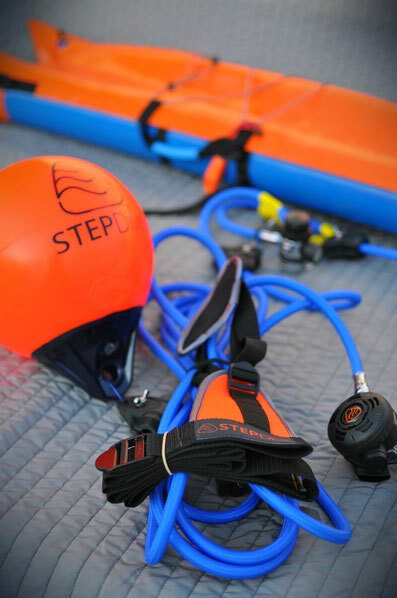 With STEPDive, dive schools can teach 3 training levels before a regular (Junior) Open Water course. In between, the students can build up experience and proficiency by privately using or renting the system. They will be safer and more comfortable before progressing to each successive course / level! 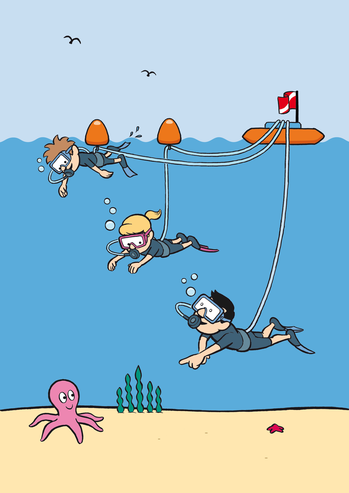 Divers of different levels can dive together, and explore the underwater world. Subscribe to our newsletter to get all updates about the product! the underwater world a safe, engaging and easy to learn experience for the whole family.